The New York Times made a "really big mistake," its editor says, when it incorrectly reported that the San Bernardino shooters talked openly about jihad on social media. 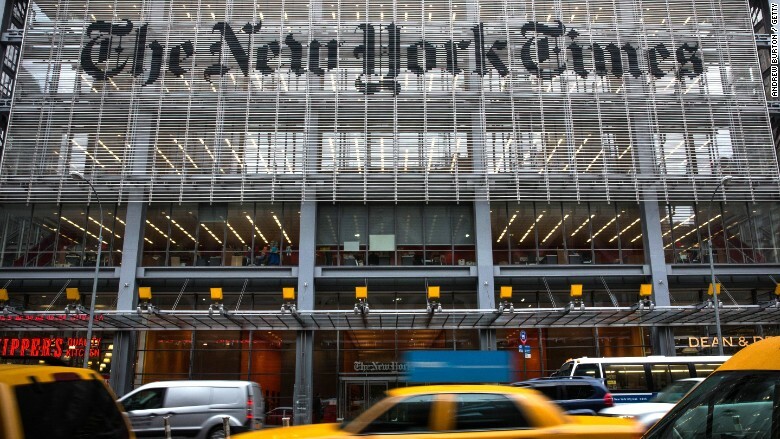 The executive editor of The New York Times says his paper's erroneous report on the San Bernardino terrorists' social media use was "a really big mistake," and would cause the Times to reconsider its use of anonymous sources. "More than anything since I've become editor it does make me think we need to do something about how we handle anonymous sources," Dean Baquet told Margaret Sullivan, the Times' public editor, on Friday. "This was a system failure that we have to fix." The report, which appeared on the front page of the Sunday edition, claimed that Tashfeen Malik had "talked openly on social media about her views on violent jihad," and that these postings had gone "uncovered" by American law enforcement authorities. The Times was forced to revise its report on Thursday after FBI Director James Comey told reporters that both Malik and her husband, Syed Farook, never posted publicly on social media about their views, but had instead communicated via "direct, private messages." Comey dismissed the Times report as inaccurate "garble." President Obama also appeared to address the report during a press conference on Friday. "The issue of reviewing social media for those who are obtaining visas, I think may have gotten garbled a little bit," Obama said. "It's important to distinguish between posts that are public... versus private communications." The incident marked the second time this year that reporters Matt Apuzzo and Michael Schmidt had been forced to walk back a seemingly groundbreaking report. In July, the reporters authored a report about a potential investigation into Hillary Clinton's State Department email account that wrongly cast Clinton as the target of a potential criminal investigation. In fact, the proposed investigation was a "security" probe, not a "criminal" probe, and did not specifically request an investigation into Clinton. Reviewing this week's incident, Sullivan wrote that the Times needed to fix "its overuse of unnamed government sources. And it needs to slow down the reporting and editing process, especially in the fever-pitch atmosphere surrounding a major news event." "Those are procedural changes, and they are needed. But most of all, and more fundamental, the paper needs to show far more skepticism -- a kind of prosecutorial scrutiny — at every level of the process," she wrote. "Two front-page, anonymously sourced stories in a few months have required editors' notes that corrected key elements -- elements that were integral enough to form the basis of the headlines in both cases," she continued. "That's not acceptable for Times readers or for the paper's credibility, which is its most precious asset," Sullivan wrote.